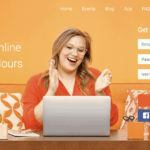 Even though I like to thrash just about 99% of the “make money online” courses I review on this website (because they deserve it), I do enjoy the day when I come across a course that I think will be beneficial to you. 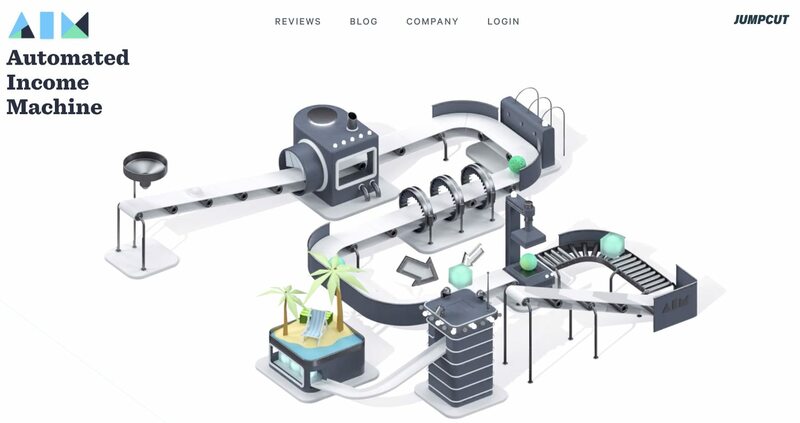 Today is such a day and in this post, I want to share with you my Automated Income Machine course review from the Jumput Academy. What you need to know about the Automated Income Machine course. Whether this course is a reliable source of information. It’s a great course and if you want to learn how to make money online, you can most definitely learn how to do that with Automated Income Machine. However; it’s not for everyone & I do think there are some things you should know before you jump into it. So; if you want to learn more about it, I suggest you finish reading my Automated Income Machine course review first. 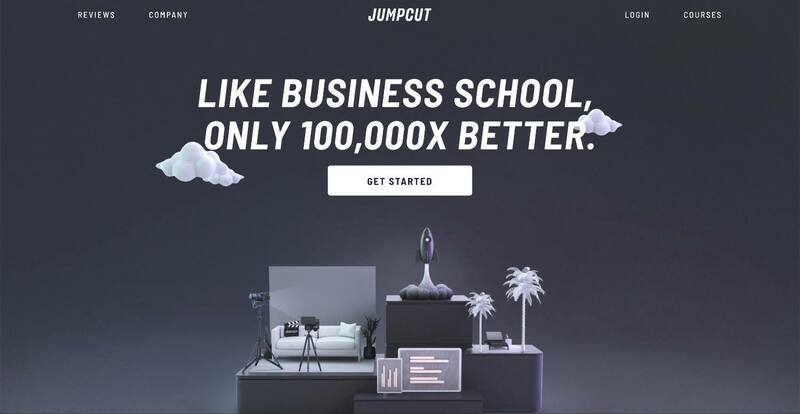 Jumpcut Academy is a new online school for aspiring entrepreneurs to teach them how they can go about creating a passive-income producing online business. Of course, since you are interested in the Automated Income Machine course (which is one of the courses offered in the academy), I am assuming that you fit that description. Who is behind the Jumpcut Academy? This is pretty funny as I “know” the guys behind this training and I remember them from when I used to watch their videos on the Simple Pick Up channel. Kong & Jesse (amongst others) are very much legit. Their success and proof that they know what they are talking about is there to be seen and yes; using what they preach in this course, these guys have managed to become YouTube superstars and very successful online businessmen. The reason I bring this up is that very often in this “make money online” space, people who come out with courses are sometimes very shady with no proof that what they are teaching works. Without a shadow of a doubt, I can tell you that both Kong and Jesse are experts at using the internet to make money. What Is The Automated Income Machine Course (AIM)? Right, let’s now jump into this specific course. Inside Jumpcut Academy, you will find two main training courses at the time of writing. The Viral Academy is a course on how to create a viral YouTube channel (amongst other things), but it’s not the scope of my review today. To find out more about Viral Academy, check the linked review. My focus for this review is the Automated Income Machine course that is a course that will show you how to use your online audience to sell them information products that they want. Yes; this course is all about how to create an online information product and more specifically; how to sell it. If you want to get into this info-product boom that is blowing up everywhere, then the Automated Income Machine course is definitely something you should consider. there is money to be made selling your knowledge to other people. See more success stories here. Very high-quality: The video training is very high-quality stuff. Contrary to other courses which have some guy using his pixelated webcam to share his “million dollar systems“, this is a full-blown legit training course with beautiful visuals and videography. Very beginner-friendly: Even though I would say that teaching people how to create an info-product might not be a good idea for beginners, this course really does keep the beginner in mind and makes sure you understand everything you need to know to make it happen. Very up-to-date training: Another good thing I have to point out here is the fact that the training is very much “modern”. I come across a lot of courses doing these reviews that are just rehashing old information into a new product (sometimes even with outdated information). You can rest assured the training inside Automated Income Machine is very much “fresh”. 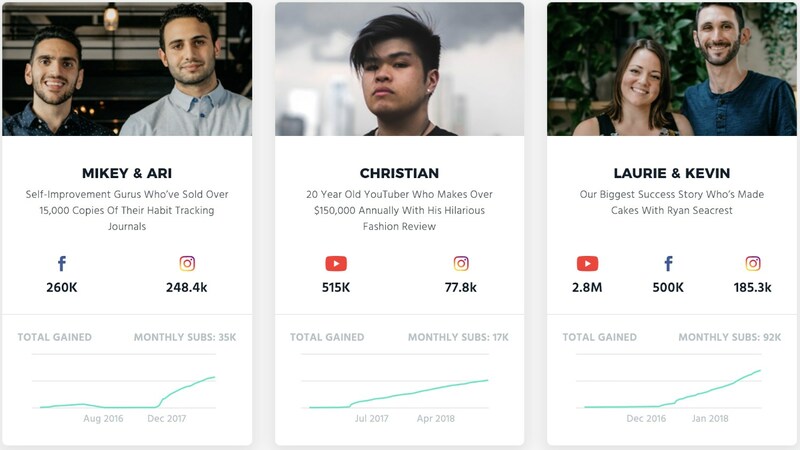 Very experienced and knowledgeable instructors: As I said, you cannot fault or doubt the expertise Kong and Jessa have in creating viral videos, building an audience and building an online business. I for one like to learn from people who have actually done it so thumbs up to these two gentlemen. There’s no issue that I have found with this course and/or the Academy backing it. I’ve even spent some time haunting forums such as Reddit to see if I can find some negative complaints which I may have missed but so far I’ve found none. The only issue I have however is the price of this course, which I will talk about next. Access to Jumpcut’s Automates Income Machine course is a whopping $997 (or $197 per month for as long as you’re a member). I have to admit; this is pretty damn steep. However – as I have said in this review – this course is incredibly detailed with top quality video training to teach you all you need to know about how to make money online with info-products. The value of this course is pretty damn fair when you think about it, and even though I believe it’s on the expensive side of things, it’s a reasonable price point. The Art of Vlogging and so forth. You also have to remember that when you buy such a course online, you are not only buying up knowledge that can help you create a new life altogether but also you are buying back time. I have no doubt that all the information you will learn from Automated Income Academy can be found online for free. 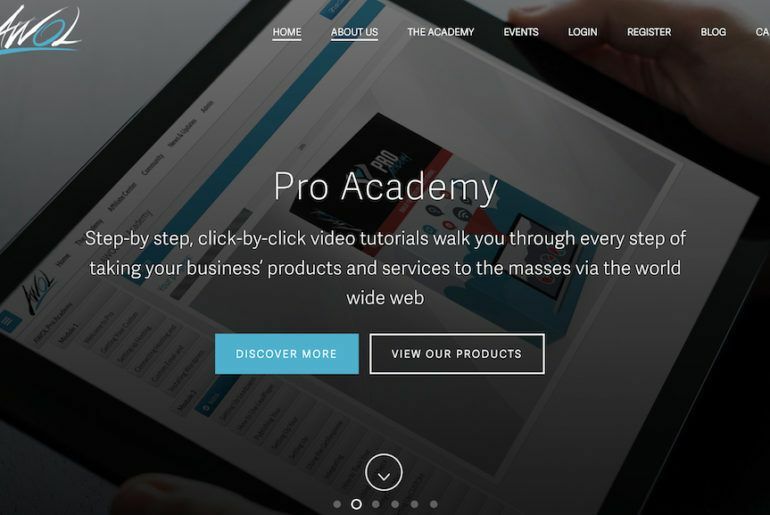 However; at Jumpcut Academy, you are going to get all that you need to know to make it work in one condensed package that yes; would likely help you succeed far quicker than just browsing online for free information. NOTE: I am not an affiliate for Jumpcut Academy so I have no reason to fluff you up on this – it’s just the facts. 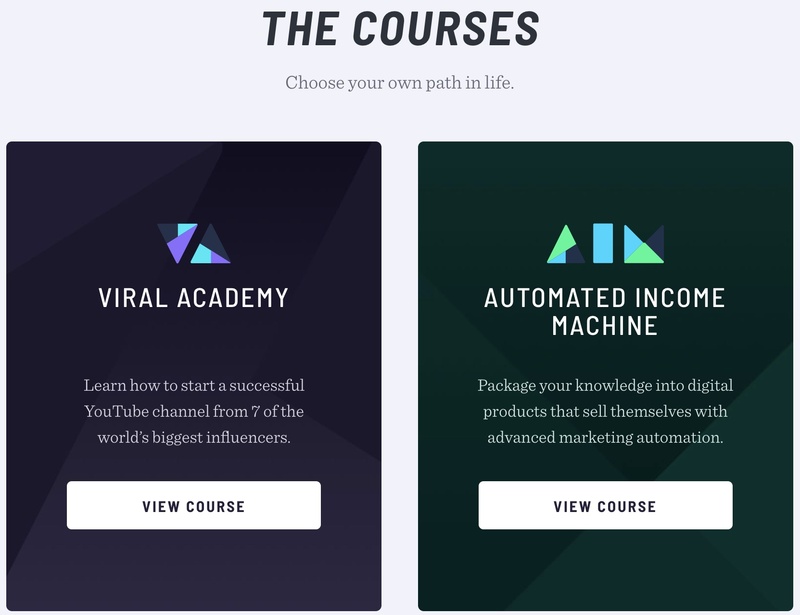 Is The Automated Income Machine Course Worth It? While yes I do think the course is expensive; it’s most definitely worth it. If you are really serious about making money with YouTube selling courses and knowledge to other people, then you will benefit greatly from this course. 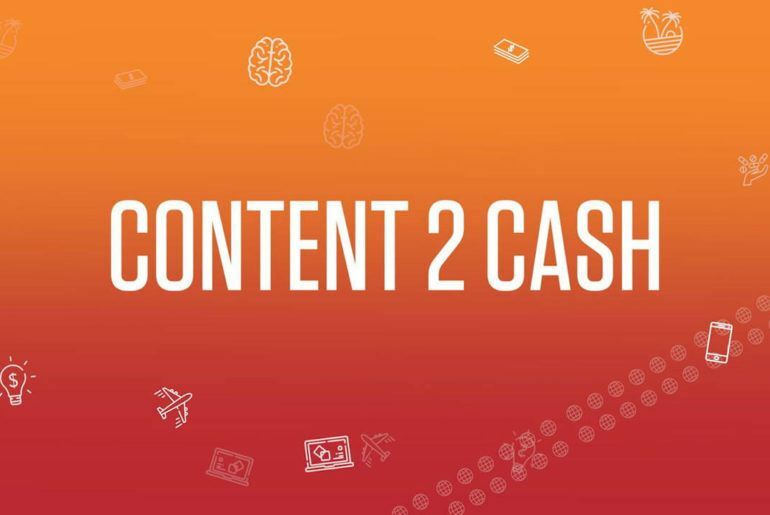 You can even join here and get the first few lessons for free to figure out if the content is as good as I claim it is and to get yourself familiarised with what you can expect from Jumpcut Academy once you have made the jump to become a paying student. Ok – let’s talk about some alternatives here just in case the price was a turn off for you and yes; there are online courses which are also as good as Automated Income Machine that does not cost ~$1,000 to get started. Wealthy Affiliate: This is the same training course I have used to create my online “empire”. This is also where I mentor all my students that want to do the same. The price for admission is free, but there are premium levels that would run you $49 per month (although I do have a special offer for you here). eCom Elites: eCom Elites is another training course that I have used with great success in my pursuit of building an online business using e-commerce. If you’re into dropshipping, then take a look at eCom Elites as a possible alternative. Last but not least – since Automated Income Machine is based on selling info products – I also have a guide that I did on how to make money selling online courses. As I mentioned previously, I have also created my own course which I sell through my blog so I’ve learned a thing or two through my experiences. Thank you for reading my Automated Income Machine course review. Big congratulations to the team at Jumpcut Academy for such a detailed and professional training course that they have provided. Big thumbs up for me. As I said; I highly recommend anyone wanting to get started in the info-business world this course as I do believe it’s one of the best out there. Let me know if you have any questions – I’ll catch you next time. Is Paparazzi Jewelry A Scam (Or A Legit Way To Make Money)? I am one of the rare few people who actually took the dive into AIM. I’d say the one thing that I have to complain about is the necessity of websites like clickfunnels that costs roughly $1200/yr to maintain your course that you create during the process. While normally I’d find that it wouldn’t be much of an issue if I’m turning out a profit, the very fact that they did not state that cost up front is what turned me off. I’d be happy to answer any questions about the course as I still have an active account so I can enlighten anyone else. Hi Jon, I’m considering buying this course. How do you find the content of the course? Do you think the price justifies the course content? 1. How long have you had your website up? 2. Have you made back your money ($1000 for the course, and $1200=$2200) that you’ve spent doing the course? 3. Have you turned a profit yet? If so, how much and what is your product? so you’re saying that the site you build costs 1200 a yr to maintain after the fee for the academy? and are you actually making a profit that makes that expense worth it? Hey Jon. I’m actually an undergrad in my last semester about to get my Bachelor’s degree and wanted to know exactly how the aim jumpcut refund works. I heard you have to have proof that you were doing the worksheets, but can you quit mid-way through the course or do you have to go through every single module to get a refund? Got it; looking pretty good so far. Not a get rich quick plan. You still have to get the work in. reply with you email ad if you need info; ill try to mail you back asap.